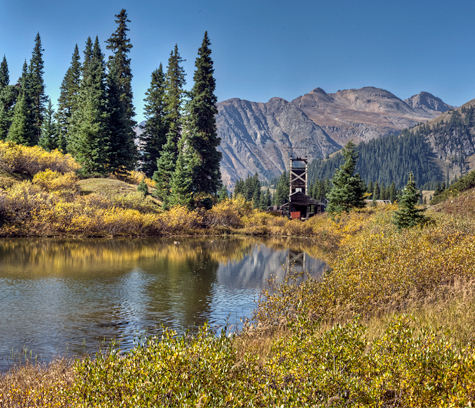 Back in 1879, there were no more than 6 towns between Ouray and Silverton, Colorado. The towns of Chattanooga, Red Mountain City, Guston, Hudson Town, Rogerville and Ironton were born during the mining boom. It was a pleasure to see many of the mine buildings from that golden era are still standing today. The towns are all long deserted. We toured this area called the Red Mountain Mining District. This is the Longfellow mine at about 11,000 ft elevation on Red Mountain. 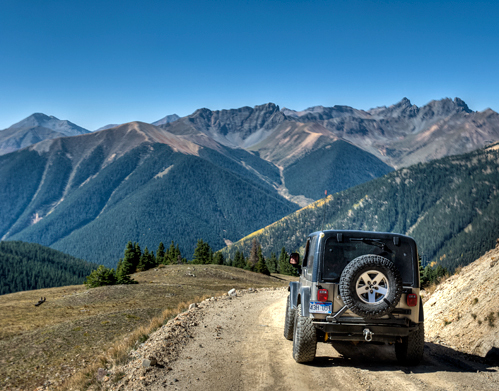 The jeep as it starts down the steep grade at 12,300 feet. 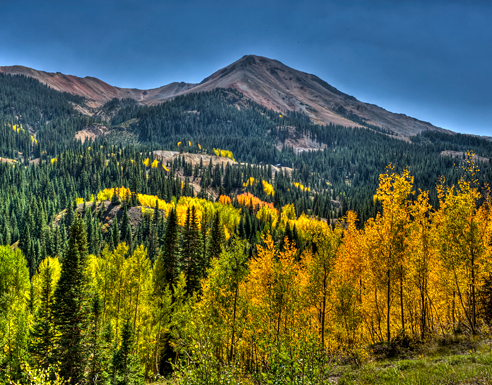 Nice panoramic view of the surrounding mountains and San Juan National Forest. The fall aspens are flaming at about 10,500 feet at the top of US Basin.